Aardman Animations joined forces with Vooz Club and BRB to produce a combined CGI animation and live action children’s TV series called Canimals. Launched on CITV in August 2012, it wasn't long before Vivid Imaginations, the popular toy company that manufactures and distributes an incredible selection of licensed toys for many age groups, was awarded the Canimals European master toy licence. They make a whole variety of toys, games and collectables based on the show's quirky characters. Launched in the Spring of 2013, Squeaky Canimals like Leon, Mimi and Oz feature individual characters that do 'what its says on the tin' - they squeak when squeezed! 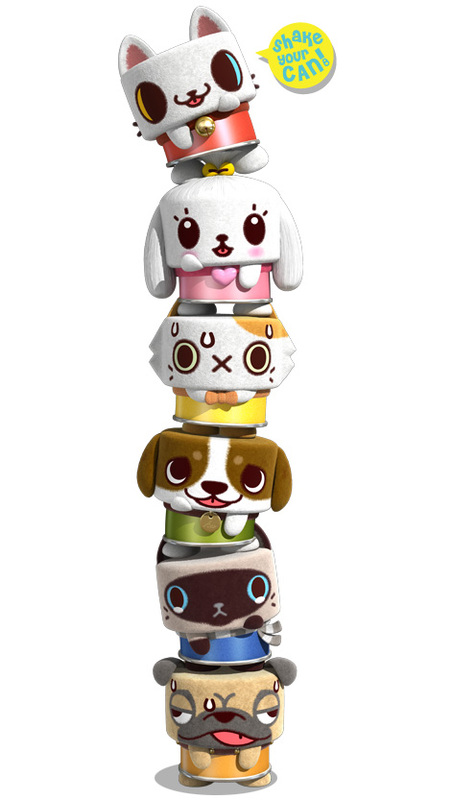 Talking Canimals either meow or bark when pressed, and are joined by Canimals Cushions plus a Pop-Up Mimi figure. Neil Bandtock, Vivid’s Managing Director said: "We instantly felt that Canimals had a distinctive and fresh look, offering something unique and collectable to fans of the TV series." As you would expect from Aardman, Canimals has wide appeal but retains a distinctly quirky and eccentric edge that the company is so renowned for. Canimals are can-shaped animals that live among us, totally unnoticed. A bit like the toys in Toy Story, once the humans are out the way Canimals spring out from undercover and cause all kinds of havoc!